Crowley Maritime Corporation’s LNG group has successfully executed the first loading of nearly 11,000 gallons of liquefied natural gas (LNG) into an ISO tank container at the new Eagle LNG Partners liquefaction facility located near Jacksonville, Fla.
VT Halter Marine has launched Crowley Maritime Corp.’s second Commitment Class ship, Taíno , one of the world’s first combination container/roll on-roll off (ConRo) ships powered by liquefied natural gas (LNG). 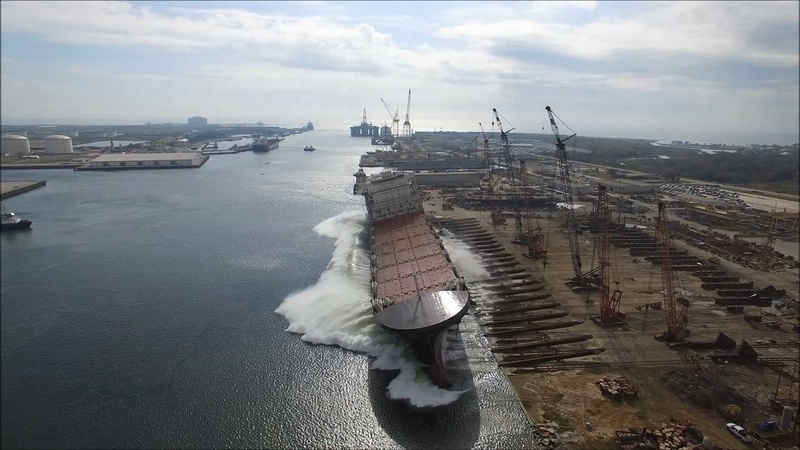 Video of the ship being transferred from land to water Monday can be viewed here [ link to come]. The launch of the ship in Pascagoula, Miss., marks the latest achievement in Crowley’s transformation and modernization of its shipping and logistics services between Jacksonville, Fla., and San Juan, Puerto Rico. The new ships, port terminal improvements and technology upgrades underway are all designed to improve the overall velocity of the customers’ supply chains and speed products to retail shelves. 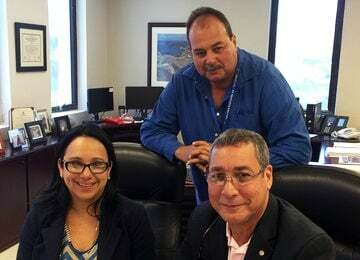 While Crowley teams have been working around the clock to deliver commercial and government relief supplies to Puerto Rico after Hurricane Maria, including 3,684 Federal Emergency Management Agency (FEMA) and 9,116 commercial loads to date, Crowley’s vessel construction management group has been focused on completing the company’s two new LNG-fueled "ConRo" combination Roll-on/Roll-off ships for the trade. 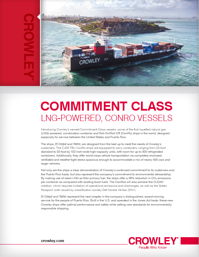 A key to Crowley’s success currently building its Commitment Class ships powered by liquefied natural gas (LNG) is the company’s construction management team. 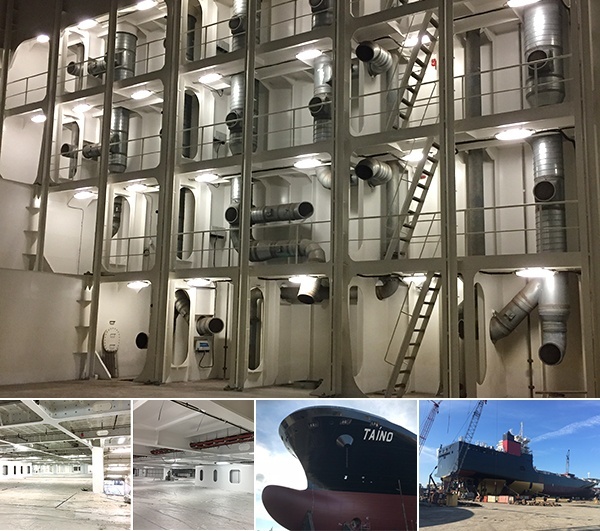 Lead by manager Patrick Sperry, they are using the company’s deep well of expertise and experience delivering high performing ships, this time on Crowley’s own two combination container/Roll-On Roll-Off vessels being built at VT Halter Marine.